We hope it's not just a self-indulgent fantasy to think others may enjoy two writers talking shop. 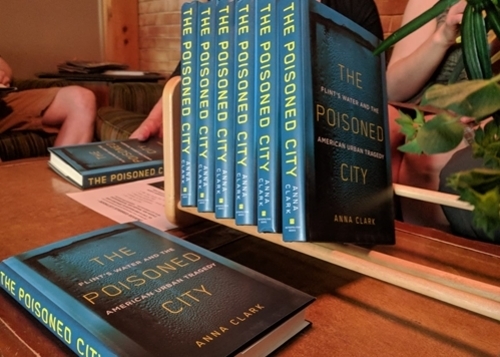 One is this correspondent and the other is Anna Clark, author of "The Poisoned City," a Flint book coming next week. ♦ Extensive excerpts are at The Guardian. ♦ The New York Times reviews Clark's work and one by Dr. Mona Hanna-Attish of Flint. Our main coverage of "The Poisoned City" has five replies to questions about the Detroit freelance journalist's two years of examining the water crisis. Three leftovers too good to toss are here. Clark reflects on her biggest project, its writing lessons and a life-changing season for the author. Q. What’s the most striking thing you learned about researching and writing a longform project? It wasn’t just about time and effort, though that was incalculably greater than anything I’ve done before. In trying to sense how best to tell the story, how to organize information, what scenes to expand and compress, when to quote and when to paraphrase, the book manuscript insisted on being seen as a whole, not a series of parts. And there was really no way to figure out how to do it besides jumping in and just doing it. For all the advice, tips and tricks that others may have for you, including people who are excellent writers, in the end, it's just you in the chair, writing day in and day out. I appreciate the feedback and support I've received from others (not least: friends who invited me over for dinner a lot, ensuring that I both ate and talked to Real Live People once in a while). But what stays with me is how much writing a book of this scale calls forth out of you, and how in the end, you’ve got to face its challenges yourself. Q. What old reflexes worked well and what new skills were gained? A. My habits of curiosity and self-discipline served me well. So did my love for reading and exploring. I did have to learn how to deal with vastly more information—recordings, transcripts, notes, print materials, digital archives, photos, etc.—than I ever had before, so my organizational reflexes were put to a greater test. Q. April 2016 was a month that poured for you. Twenty days after you blogged about the book deal came more good news. How did the Knight-Wallace Fellowship help the book, and delay it? Available July 10 in hardback and as an e-book. A. Yes, that was a huge season of change in my life. Just that previous January, I marked the sixth anniversary of my full-time freelancing life with a rather melancholy post. I loved the work I did, and I felt it was important. I opted to base myself in Detroit, rather than the coastal media centers, because the stories I wanted to tell were in cities like this one and there weren’t enough people to tell them. But I was so burned out. As a single, self-supporting freelance writer, I was working from the moment I got up to the moment I slept. I had regularly taken on part-time work to keep afloat, like cleaning apartments, taking tickets at the box office of an improv theater and being a physical helper to a young woman with cerebral palsy. I went without health care until the Affordable Care Act was passed, and then got a policy that worked for me and was affordable. But, to my great anxiety, the ACA seemed continually at risk of being repealed. I was working on paying down student loans, but it was going so, so slowly. And of course, there were no sick days, vacation times, employee protections or even really weekends in my chosen path. I was a journalist because it felt like it was my vocation. But I was beginning to feel the ache of how desperately difficult it is to be a writer in a world that does not do much to support its writers. Then comes this almost miraculous change. I first learned about the book, an opportunity that came out of the articles I had written. Suddenly, I could be intentional and thoughtful in a whole new way, devoting myself to an important story over the next couple years. Then comes the Knight-Wallace journalism fellowship at the University of Michigan. It's a transformative year for a cohort of journalists from all over the world. You are not supposed to work while you are a Knight-Wallace fellow—though long-term projects are okay, and encouraged. The fellowship required me to move to Ann Arbor (not just commute), which helped me to fully remove myself from all the work and activities I had been committed to. It brought needed spaciousness to my life. The community of the fellowship enlivened me and inspired me. It rejuvenated my spirits in a way I so needed at the beginning of the Flint project. We got to travel to cities in Brazil and South Korea, which helped me rethink my assumptions about what cities are, how they are made and how they are unmade. Because I reserved a lot of my fellowship money for student debt, I was freer to focus solely on book-writing after the fellowship year ended. I was able to audit classes at the law school about water rights and environmental justice, and in the urban planning school about metropolitan structures. I had access to the rich libraries and archives of UM, which greatly aided my research. Some of my fellow fellows became readers of the manuscript, providing useful feedback. Either one of these experiences would have been life-changing, but that they happened together feels like a miracle. I did fret a little about it: the fellowship requirements meant that I couldn’t make as many Flint trips as I wanted (or even move to Flint, which is something I considered), and the Flint book meant that there were times I ducked out of fellowship gatherings to sit at my computer or to hightail it to Saginaw Street. I didn’t have the open-ended experience that some of the others did. But really, it was all a gift. I am grateful. 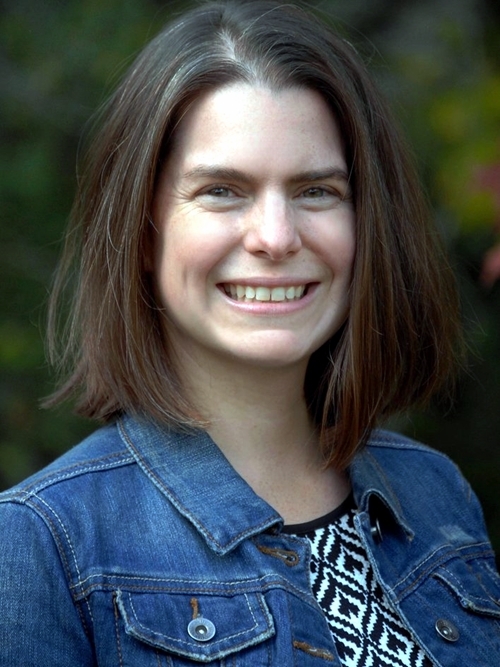 Ann Arbor, July 10: 7-8:30 p.m., downtown library multipurpose room (343 S. Fifth Ave.). Detroit, July 12: 6-7 p.m., Pages Bookshop, 19560 Grand River Ave. (Grandmont-Rosedale). Includes a performance by Flint poet Jonah Mixon-Webster. Detroit, Sept. 6, 6-8 p.m., Signal-Return, 1345 Division St., (Eastern Market). Pages Bookshop: $30 hard cover, plus $1.99 shipping (or free pickup at address directly above).